Today is World Environment Day, the day to take initiatives, drive campaigns and make promises to keep the world green for healthy living of the next generation. Green travel is one such a great step taken by most of today’s environment-conscious travelers and trippers. India is the ultimate destination for green travel in Asia. There are many green tourism hubs along the length and breadth of the country. Indian Eagle takes you through different ways of green travel in India. The skyline of metro cities in India is getting chock-a-block with skyscrapers and flyovers. Environment activists have already started referring to tier I capital cities as concrete jungles. But, a few tier I and tier II Indian cities are blessed with greenery. There are Gandhinagar, Chandigarh, Nagpur, Bangalore, Hyderabad, Guwahati, Bhopal, Pune, Jamshedpur and Thiruvananthapuram. Bangalore, the Silicon Valley of India, is popularly known as the Garden City for its green landscape dotted with gardens, parks and lakes. 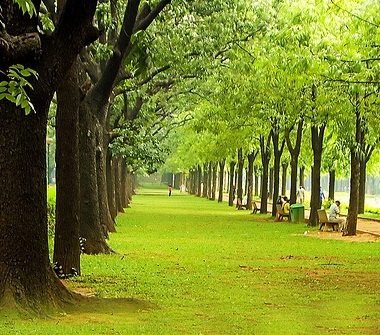 The cityscape of Gandhinagar on the banks of the Sabarmati River is dotted with 33 lakh trees. Thiruvananthapuram, the capital of Kerala with backwaters and beaches, is one of the greenest cities in the world. The lush green landscape of Bhopal, the capital of Madhya Pradesh, is dominated by 33 beautiful lakes. The city of lakes is located at the upper edge of the Vindhya mountain range. Built at the foot of the Shivalik mountain range, Chandigarh is known for its Rock Garden and Rose Garden. This union territory of India is not just best planned but the greenest city in the country. Jamshedpur, the Steel City of India in Jharkhand, is meticulously beautified with scenic greenery sprawling over lakes, parks and sanctuaries. 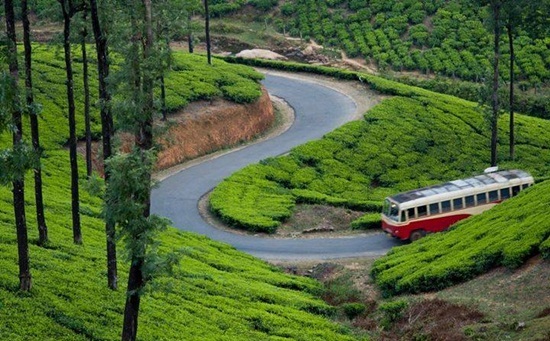 Green travel in India is synonymous with hill stations from Kashmir to Kanyakumari. 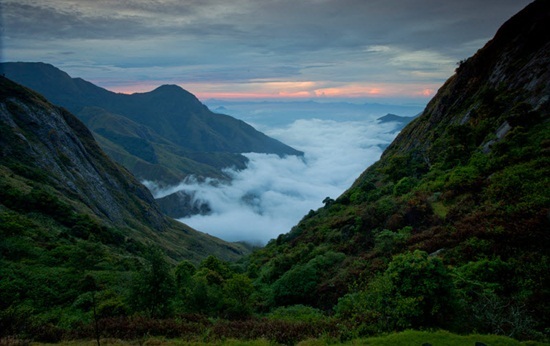 South Indian hill stations are as green as North Indian hill stations are covered in snow. If you look down while flying over Kerala, it looks like a pool of green waves on the map of South India. It won’t be an exaggeration to call Kerala a state of hill stations considering the great number of hill stations there. Unlike the Himalayan towns and tourist destinations, the hill stations of Kerala and Tamil Nadu like Munnar, Ooty, Kodaikanal, Wayanad, and Idduki brim with green beauty throughout the year. Darjeeling is the greenest of all hill stations in other states of India. 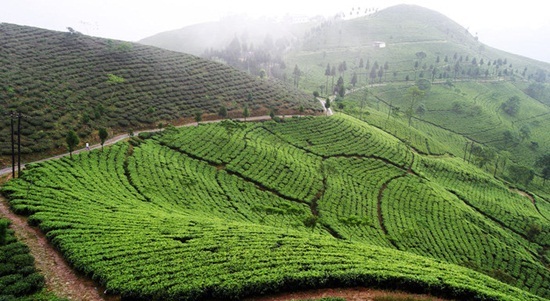 The green belt of Darjeeling mainly consists of tea estates at the foothill of mountains. It becomes greener during monsoon. Mount Abu is the green paradise of Rajasthan in West India. It is an oasis of greenery in the sands of Rajasthan. There is a wildlife sanctuary too. 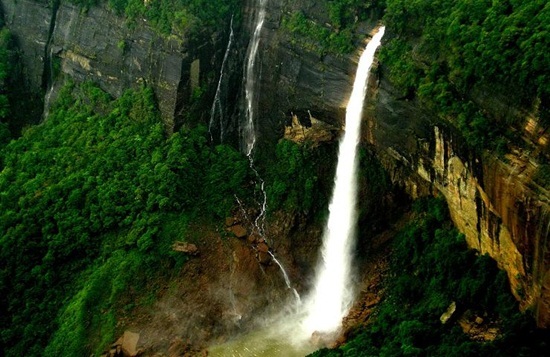 Pachmarhi, the only hill station in Central India, is a laurel of green in the range of Satpura Mountains. Buzzing waterfalls and flower-carpeted meadows make Pachmarhi a must-visit destination for green travel. The hill stations of Maharashtra are the natural hubs of greenery in monsoon and winter. Most of these green holiday tourist destinations are located between Mumbai and Pune in Maharashtra. Mahabaleshwar, Panchgani, Matheran, Khandala, Amboli, Lonavala and Dapoli are the most popular hills stations, far from the madding crowd. These less-frequented destinations boast of green sightseeing spots, breathtaking sunset points, beautiful lakes and mountains with rolling waves of green. Waterfalls in the Sahyadri Mountain range encircling some of the hill stations look like white streaks on a deep green canvas, from a distance. If you are a diehard biker, take road trips to travel green in India. There are green routes, long and short, for scenic road trips in the Himalayan and coastal regions of India. A road trip from Mumbai to Goa along the west coast of the country is a journey into the green land. The same is true about the Bangalore to Goa route for road trippers. Road trips from Mumbai to Lonavala, Chennai to Kanyakumari, from Shillong to Cherrapunji, and from Dehradun to Nainital are like dives into a green sea. If you are looking to travel green by trains, India is one of the best destinations in the world. The mountain railways of India promise a life-enriching green travel experience. A green journey on wheels running through forested areas, coastal regions, mountain terrains and steep plateaus is full of natural bliss. 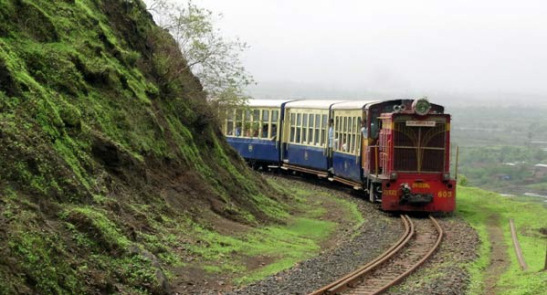 The Kalka Shimla Railway in Himachal Pradesh, the Darjeeling Himalayan Railway in West Bengal, the Nilgiri Mountain Railway in Tamil Nadu, and the Konkan Railway in the Western Ghats are the greenest routes offering the greenest glimpses of nature to green travelers.